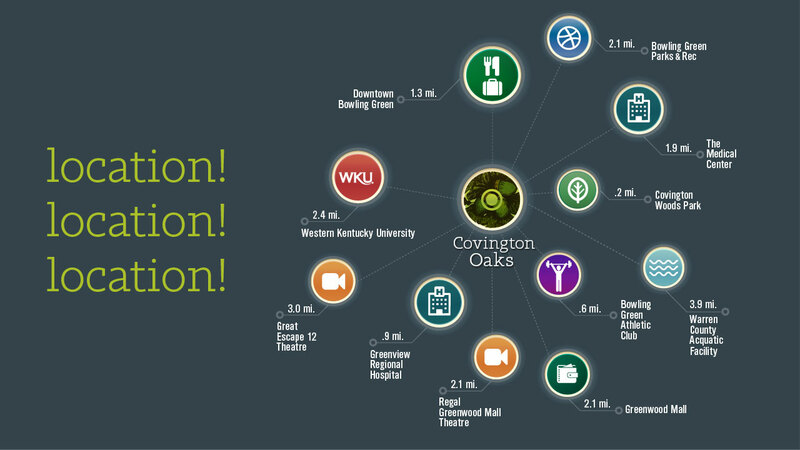 Covington Oaks is conveniently located within a few miles of the services, dining, fitness, and other attractions that Bowling Green and Warren County have to offer. A prime location for professionals, retirees and students. Click for directions to Covington Oaks. Watch the video to see our prime location!